Have you ever made clothing for your kids? I really enjoy it, however, I do not sew. I wish I did, it’s on my bucket list and I know I will learn some day. Until then I get creative and make no-sew pieces for my girls. 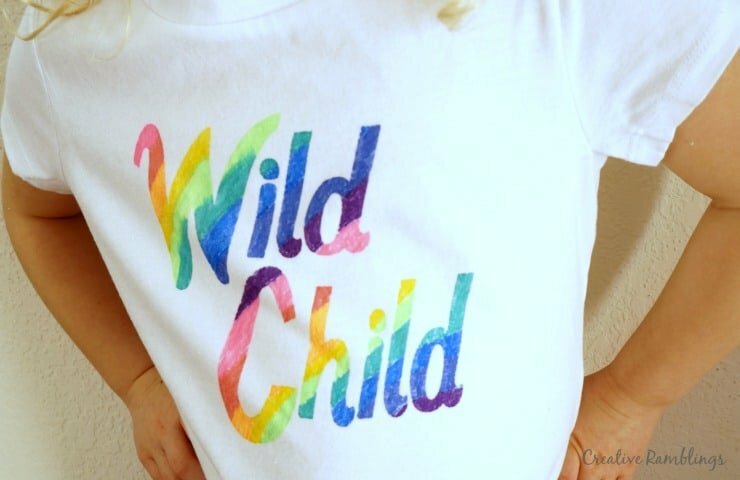 This week I made a shirt for Little Lady at her request; something wild with rainbow colors. I used the easiest method I know to create custom clothing. Check out my tutorial and learn how to easily make something for your kids (or yourself)! The following are affiliate links, view my full disclosure policy here. The key to a perfectly stenciled piece of fabric is freezer paper, yes the kind you buy at the grocery store to wrap your meat. I have used this to create wall art and gifts, in addition to clothing, and I love how easy it is. 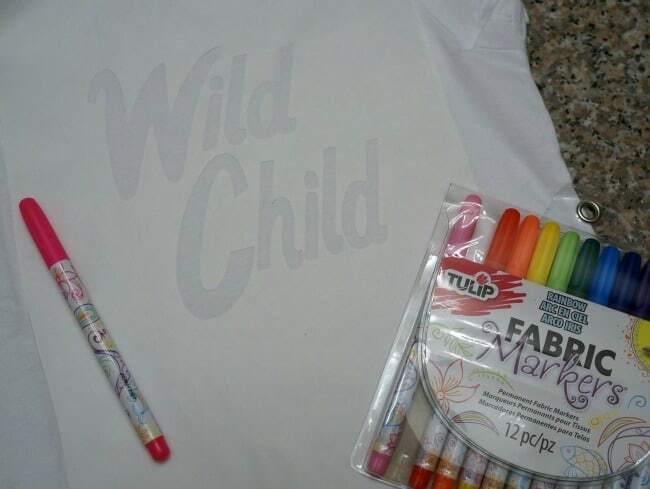 Here’s how I created this wild child rainbow shirt. I designed and cut the text using my Silhouette. Then I put the freezer paper shiny side down on my cutting mat before cutting the design. Next I placed my freezer paper stencil shiny side down onto the shirt and ironed it on medium heat while covered with a tea towel. 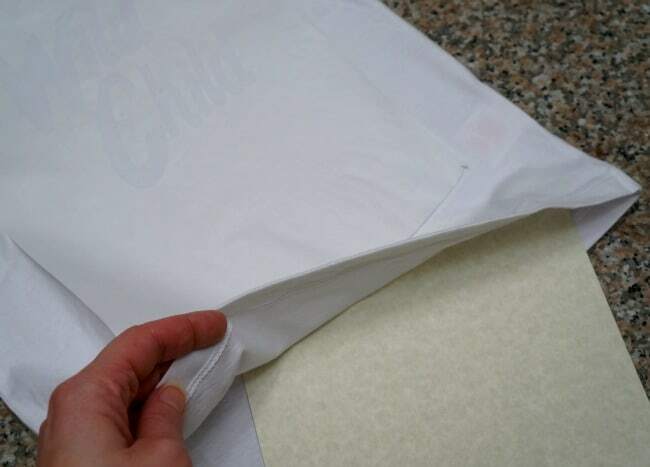 It doesn’t take much heat, just a few seconds will adhere the freezer paper to the fabric. This step makes a nice seal so fabric markers, or paint, won’t bleed through. Then I got creative with fabric markers. Before coloring, I placed a thick piece of paper in the shirt so the color would not bleed through. After I was done coloring in the stencil I just peeled off the freezer paper. It removes easily and leaves a crisp line behind. 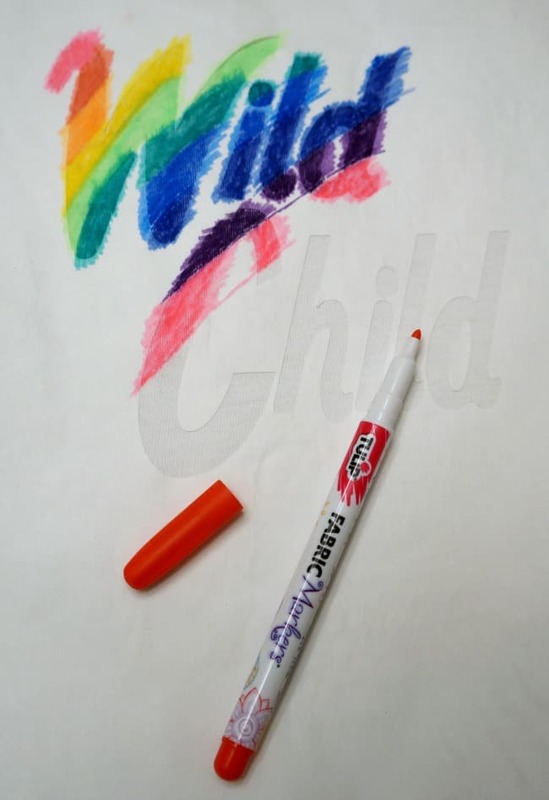 These fabric markers air dry in 24 hours and can be machine washed. Little Lady wore her shirt exactly 24 hours after I made it and would not take it off. She already has plans for more brightly colored shirts, and I’m on board. This was an easy and inexpensive custom piece of clothing. 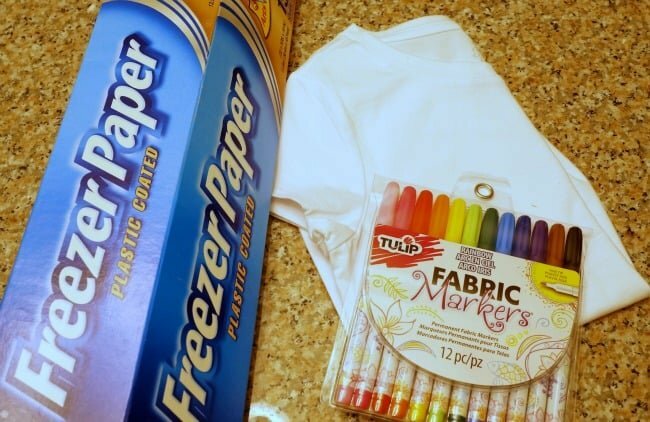 What would you make with freezer paper and fabric markers?